I read this article and found it very interesting, thought it might be something for you. The article is called Eastern UP Gets 50% More Than Original Green Revolution Allocation and is located at https://archive.indiaspend.com/sectors/eastern-up-gets-50-more-than-states-original-green-revolution-allocation-84662. 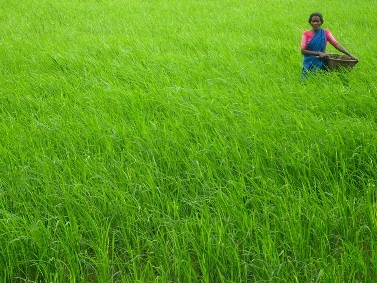 The Government last week said it has released Rs 333 crore to 7 states in India’s east to `extend’ the green revolution. This is for the current financial year as on the 20th of January 2012. The Government had, in its Union Budget in 2011-12, allocated Rs 400 crore for this initiative. Anu Jogesh writing for SPR takes a look at the original allocations and finds that they’ve deviated from the letter and spirit of the original intent. Moreover, the channelisation of hundreds of crores of public funds appears to have been driven by the demands of regional politics rather than regional agriculture. A quick backgrounder: The Green Revolution in India was a concerted effort by the government in the 1960s to pump massive public investments in modern agricultural research and practices to drastically improve yields of rice, wheat and other cereals in the northern peninsular belt of Punjab, Haryana and Western UP to lift India from the cycles of famine it had witnessed since independence. The effort saw the adoption of new seed-fertilizer technologies, introduction of high yield varieties of rice and wheat and the diffusion of private tube-wells. As a result of modern plant breeding and highly subsidized inputs such as power, inorganic fertilizers and modern pesticides, India attained food self-sufficiency by the end of the 1970s. Some research also implies that the resultant improvement in rural incomes through productivity growth in agriculture through the second wave of the green revolution was essential for the success of India’s industrialization-based economic development. But there’s an ugly side too. Some highlight the fact that agriculture today is solely dependent on the use of non-renewable resources such as chemical fertilizers, pesticides and coal. India is still home to a quarter of the world’s hungry people, despite producing enough food to feed itself. There are reports of massive ground water extraction and severe soil salinity, even cancer clusters in Punjab and Haryana as a result of deteriorating soil and water conditions. By some accounts crop yields have also peaked and the government has admitted that despite signs of recovery (agriculture growth until recently was declining), India will still not meet its 3 percent agricultural growth target set in the 11th five year plan. To avert a problem of Malthusian proportions, ambitious schemes such as the National Food Security Mission were recently put in place by the UPA-led government, and this latest proposal of a second green revolution in eastern India is one additional endeavor. Interestingly, the proposal was in fact mooted in early 2010, prior to the Agricultural Ministry releasing state-wise allocation guidelines this March. It was reported then that crop yields were nearing saturation in north India. Also, farmers and NGOs in Punjab and Haryana criticized the investment outlay because it had not taken cognizance of the long-term health and environmental fallouts of the original Green Revolution and its practices in the North. Papers declared that West Bengal would get the lion’s share of the allocation of Rs 102 crore, and the broad investment outlay – with an emphasis on pulses and oil seeds – would focus on the traditional combination of better seeds, farming techniques and water resources to aim for higher farm yields. There was also the political hook of Finance Minister Pranab Mukherjee driving investments in the East (he hails from Jangipur constituency in West Bengal) prior to West Bengal’s state elections. That was in 2010. And now, the government has since made significant changes in the division of its investments. The table below offers a telling account. Money for starters has been re-distributed to cover new geographical locations. Assam, which was not part of the green revolution budgetary plan in 2010, has been co-opted with an assurance of Rs 33 crore. Money originally meant for all of Uttar Pradesh has been directed towards eastern UP (perhaps since western UP was already a part of original green revolution project in its second phase). But what’s interesting is that Eastern UP now gets nearly 50% more than what was originally allotted to the state, making it the highest beneficiary of this fund. On the other hand, West Bengal loses almost 30% of its promised funds while Bihar and Chhattisgarh are also left with a lesser portion of the fiscal pie, and Jharkhand in turn gets a marginal boost. Is it safe to assume that political factors to a large extent goaded these changes? After all Assam too witnessed state level elections this year. It is also worth pointing out that the chief minister of Bihar, Nitish Kumar had raised a din about how his state was unhappy with the size of funds earmarked for this project, suggesting that the government put a stop to centrally sponsored schemes and leave it to states to formulate and implement such projects. There were also reports from West Bengal that state agricultural scientists were not consulted on this project. Political machinations apart, this agri-based endeavor (essentially meant to benefit non-National Food Security Mission districts which already enjoy a generous outlay of over Rs 4,000 Cr) offers a clear tilt towards industry driven solutions. The ministerial guidelines refer to farm mechanization as well as asset building activities such as construction of tube wells, distribution of water pump sets, and provision of subsidized inputs such as fertilisers, power and water. Crucially the green revolution in its new avatar also plans to focus on high yielding hybrid rice which has been criticized by some NGOs as benefiting only private seed companies as hybrid seeds have to be bought each season by farmers and cannot be reused. But a closer look at the latest guidelines suggest that plans for the initial allocation of the money also seem to be following a location-wise approach rather than a blanket system, stemming from statewide consultations. One percent of the fund (Rs 4 Cr) has been set aside for monitoring at the central level. In addition the government has outlined its focus on sustainable measures that promote water use efficiency and soil health. This includes construction of runoff management structures, zero tillage activities, rainwater harvesting, green manuring, reclamation of acidic soils as well as following SRI or a System of Rice Intensification (where rice plantations are allocated wider spaces in the absence of standing water to improve yields while also conserving water and preventing soil salinity). For now the next stage in fiscal accountability, perhaps a summary of the state deployment of project funds, or even a disclosure of the revision of these initial estimates could offer some clarity on whether the government indeed plans to do things differently. Narendra Modi : please take note ! •	Subsidy leakages will be eliminated by mobile-transferring of Rs 1,000 / – ( using Mobile Wallet ) , directly to each BPL family , every month. Government will recover the Scheme-cost ( Rs 70,000 Crores ) in just 1 year ! Kill 4 problems with 1 Smart phone !